The Baker family bought their townhouse in 2015 and it was a four family home. Their design team turned it into a 1 family home with floor to ceiling windows at their rear and exposed steel beams, duct work and sprinkler systems. The renovation created a lofty home with plenty of light and a guest room at the garden level. Their architect was Opera studio. 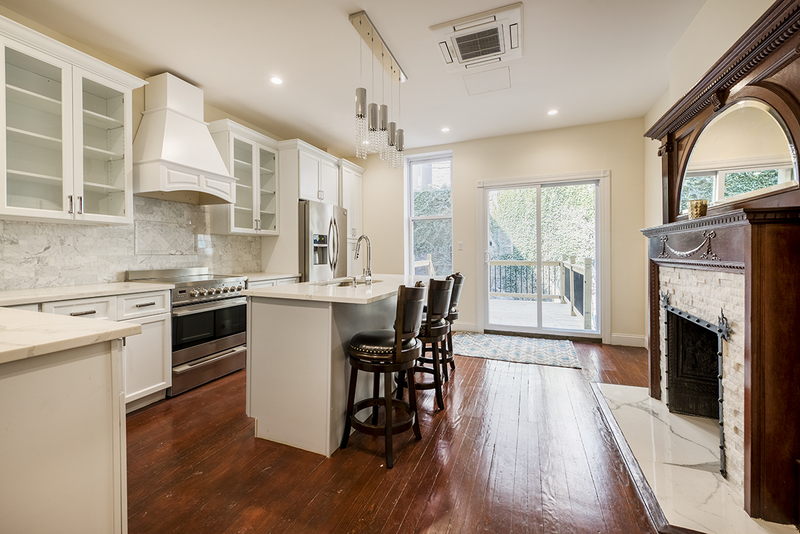 Is it better to purchase and renovate a townhouse or spend more for a renovated one? Many townhouse buyers like the idea of buying a Manhattan fixer upper but underestimate both the cost, time and effort involved with a renovation. If you purchase a fixer upper, the positives are that you can make the home exactly as you want from unit number, to finishes to outdoor space like a roof terrace or penthouse. 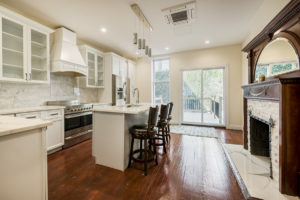 But you will pay for that convenience in renovation costs which could be as low as $150 per square foot to as much as $700 or more per square for a high end renovation. Additionally, a renovation will require approvals from Department of Buildings, as well as Landmarks Preservation Commission (LPC) if the building is one of the coveted Manhattan historic districts. Also there is no guarantee that if you purchase a $7 million Upper West side townhouse and add $4 million that your space is worth more than $11mm total. 1- Can you find something in a higher price range that is already finished close to what I am looking for in a townhouse? 2- Do you have all of the necessary capital to pay for the renovation including architecture fees, permits and expediters? Also, do you have the time to dedicate to supervising the work and making sure your expectations are met? 3- Do you have the patience to wait between 1-3 years or more for the townhouse to be finished while undergoing renovation? 4- Do you have enough capital to cover the cost overruns or increased costs associated with the unanticipated items? 5- Are you okay with the potential increase in real estate taxes due to the renovation and potential alteration? Speak to your real estate tax attorney for more details on that. A townhouse renovation is not for the faint of heart and should be entered into with care and tons of research. 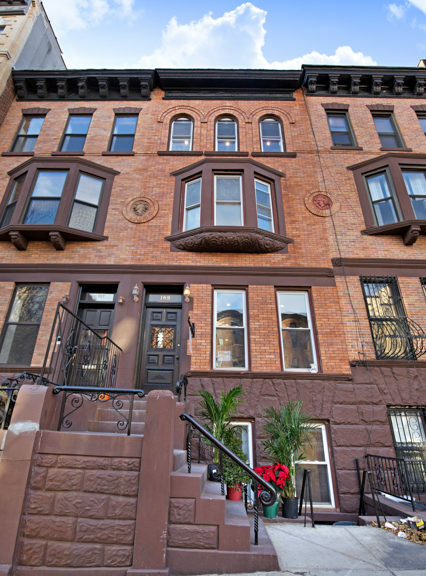 Perhaps it might be wise instead, to purchase a Manhattan townhouse that is already renovated and ready for occupancy. 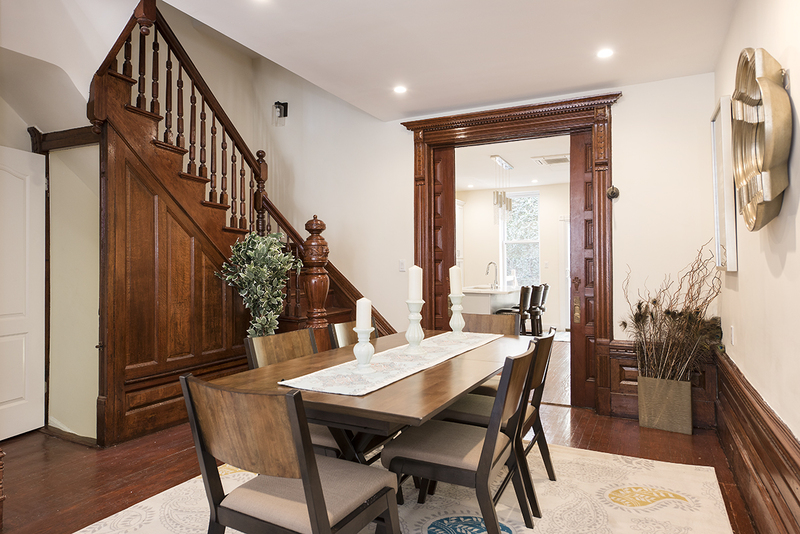 The dining area at 189 Edgecombe, a gut renovated townhouse in Hamilton Heights that is for sale for $2.525 million.